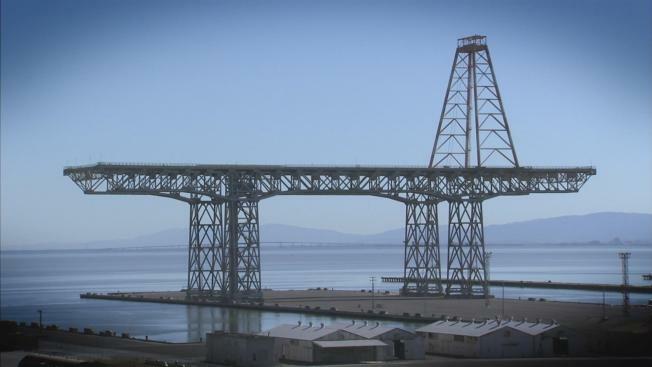 NBC Bay Area has learned that one of the companies selected to perform the work made a mistake on the Hunters Point project a decade ago. The land developer hired CH2M Hill, a multi-national environmental and engineering consultant, to conduct asbestos dust monitoring on the area of the shipyard that is now home to condos. In the spring of 2006, CH2M Hill reported that it detected no asbestos dust at the site, but discovered months later in August that it couldn’t confirm any of those results. The mishap led to a half million dollar fine against the developer by the Bay Area Air Quality Management District. NBC Bay Area first exposed that another contractor on the site, one testing the soil, falsified radiation data in 2012. The Navy hired CH2M Hill along with four other companies to evaluate radiation data submitted by that company. It appears city leaders aren’t happy about the Navy’s choice. In an internal draft memo written in December by a staffer from the Office of Community Investment and Infrastructure, it’s noted that city staff “have repeatedly raised concerns” about CH2M Hill. “Staff remain extremely concerned in the Navy’s selection given CH2M Hill’s past performance and the community’s distrust relating to dust and asbestos,” the staffer writes. The memo details conversations between city leaders and state and federal environmental regulators who met to discuss cleanup concerns at the shipyard. Longtime Hunters Point residents remember the decade-old dustup. Maurice Campbell chaired several Hunters Point community boards at the time, when a frequent topic of discussion centered on the importance of clean air in a place where asthma rates are sky high. “The air at Hunters Point has not been fine and consequently when someone is given a contract and monies to monitor something and they find out they are not monitoring — it's a problem,” Campbell said. Cohen said she understands that the Navy’s choice may erode trust in the community, but she said she’s encouraged that the company is only one of five consultants brought on to review the data at Hunters Point. The city of San Francisco will not accept land that doesn’t meet standards, Cohen said. Federal, state and city regulators have come together to discuss outstanding radiological cleanup concerns. According to the memo, the Navy, the U.S. Environmental Protection Agency and the state’s Department of Toxic Substances Control are among the government agencies that met in November. “It’s a very large and dense team that’s come together to let them know we are paying attention and won’t let anything slide,” Cohen said. Greenaction, a local environmental justice organization, wants the public to be involved in conversations about the shipyard. Late Friday night, the organization sent a letter to the Navy, demanding community participation in “closed door” meetings among government agencies and the shipyard’s developer. The Navy did not respond to NBC Bay Area’s requests for comment.